What Is MVP and Why Your Company Needs It? The immediate need of the hour is to increase the efficiency & production quality in almost every manufacturing company across the globe. The need for continuous improvements in business processes calls for innovative & easy to use Enterprise Mobility Solutions. Mobility Solutions are transforming the manufacturing industry by simplifying business processes, making it easy to use and providing bird’s eye view of the operations at all times. This enhances the company’s productivity and at the same time reducing the cost. Mobile technology covers the entire ambit of operations. Right from the Inventory level to finished goods to reaching out to customers, mobility solutions are proving to be a pivotal tool for manufacturing companies. Other significant aspects such as Internal communication, operations, and HR related features drive the efficiency, increase productivity & reducing the cost for companies by eliminating the unnecessary paperwork. Different types of businesses have different needs to go mobile within the organization. Business to Business, Business to consumers, Business to Partners, Business to Employees are such instances where everyone can be on the same platform to conduct their daily activities. It brings the much-needed transparency and accountability. There are different use cases for different types of manufacturing. We have FMCG companies on the one side and we have the heavy industry on the other. FMCG manufacturing requires volumetrics in every aspect while heavy industry focuses on the end to end delivery. Where the volume is on the higher side, mobility solutions can be used to maintain customer list, for pre-sales, order booking, delivery, delivery tracking & for customer feedback. Where the volume is less, the mobility solutions can be designed to maintain data, logistics, supply chain etc. Mobility solutions are by the virtue in themselves are customizable according to the business needs. Employee workforce prefers mobile devices against the paperwork. With detailed workflow, Employee productivity can be monitored as well. Different departments can be brought on one mobile platform so that seamless interaction can take place. For .e.g. Pre-sales, sales & customer success team can work on the same lead without overlapping the process. It increases the productivity and brings the best performance out of the workforce. Custom Enterprise Mobility Solutions for manufacturing are helping companies to continuously monitor & tracking of their assets, employee productivity, logistics, supply chain, shipments, order status & customer feedback. The totality of information flow from cross functioning departments such as Marketing, Operations, Finance, Controlling, Production help in bringing efficiency on the floor. Also, the information provides the bird’s eye view to the stakeholders as a visual aid such as graphs, charts & in ratios. Majority of the manufacturing companies have different locations for their plant and office. Both of them have several machines, computers & peripherals which are crucial in operations. Processes such as Employee management, Plant management, Operations, Manufacturing become difficult without the connectivity. Mobility Solutions make it a seamless process to increase productivity. Information access becomes easier and real-time reporting for data related to inventory finished goods and work in progress become a reality. In a nutshell, it is important for companies to stay up to date with the present market scenario and be a step ahead of the competition to increase the market share. Along with that, meeting the expectations of Customers, Business partners & Employees is crucial as well. Strategic & innovative Enterprise Mobility Solutions drive the business growth, increases the employee productivity as well as increases the operational efficiency too. The importance of investment in Mobility Solution provides a better ROI by implementing it across the organization. Optimizing inventory, reaching out to customers at right time, reducing costs benefit the entire organization and hence drive the productivity of the organization. 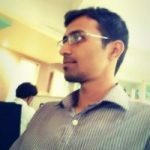 Kapil Rawal is the Industry Marketing Specialist at Credencys, An avid reader and technology enthusiast, he likes to imagine how startups will build the future of publishing. He's an expert in inbound marketing, content marketing, and lead generation. Follow him on Twitter at @kmrawal. Sampson Lee on The Top 10 BAD Customer Service Stories of 2018! Shaun Belding on The Top 10 BAD Customer Service Stories of 2018! Liz Stockford on Who’s On Your CARE Committee?